What is software testing worth for your organization? It’s not always an easy question to answer. After all, while software quality assurance offers a lot of its value in the form of prevention – stopping buggy software from making it to market – when it’s handled well, you don’t see the damage that would have occurred otherwise. So to better appreciate the value that effective software testing delivers, it’s useful to look at a few cases when that prevention didn’t happen, and how devastating the fallout turned out to be. This is not intended to criticize the companies where software glitches happened. All of those companies have excellent QA teams working hard to maintain and improve software quality. But even in the best organizations, mistakes will happen and bugs will get missed. As you will see below, the damage to the company caused by these bugs can be significant. So to better appreciate the value that effective software testing delivers, it’s useful to look at a few cases when that prevention didn’t happen, and how devastating the fallout turned out to be. With that in mind, here are four of the worst software failures of last year. Arguably the most damaging aspect of a software bug is the potential to upset your affected customers. And if you really want to see your client’s angry, you might want to try withholding workers’ hard-earned paychecks. That’s what HSBC inadvertently did to 275,000 business customers in August of last year, courtesy of a payments system software failure. More specifically, many employers that used HSBC to distribute employee salaries did not see their payments go through due to a bug in the bank’s electronic payments system. This led to overdrawn accounts, bounced payments and, naturally, a huge number of irate customers. Starbucks is easily the world’s biggest coffee chain. So when a software bug hit the company’s cash registers throughout North America, the impact was widely felt – and severe. In April, Starbucks’ point-of-sale systems ran into a “failure during a daily system refresh.” According to Yahoo, 60 percent of the systems at Starbucks’ 13,500 locations in the U.S. and Canada shut down. Baristas had no choice but to hand out free drinks, as they were unable to accept payments or make change. GeekWire estimated that this software failure probably cost Starbucks around $3 million. This software glitch actually originated earlier, but it bears inclusion on this list for its persistence. In 2013, Nissan issued a recall to address a serious problem with the air bag seat sensors in many of its vehicles. In 2014, the recall extended even further, ultimately covering just shy of 1 million vehicles. The problem was that, due to a software failure, the sensor could not recognize that an adult was sitting in the passenger seat. 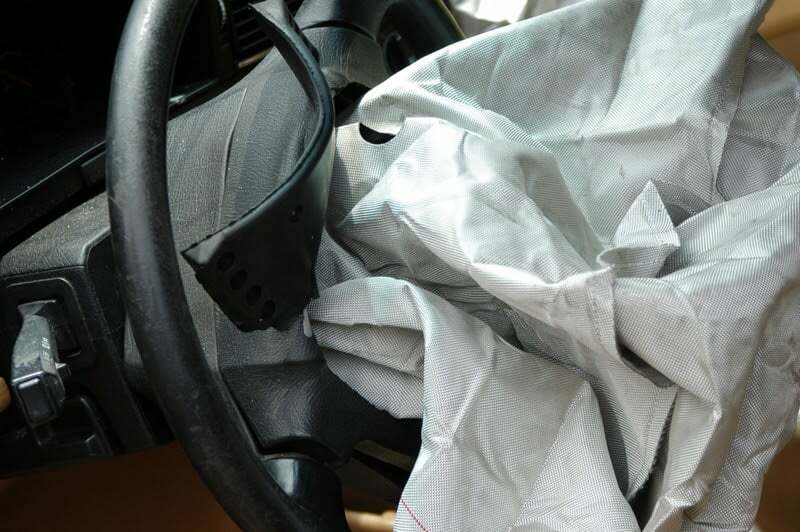 This meant the airbag on that side would not deploy in the event of a crash. So why is this on a list of 2015’s worst software bugs? Because last year U.S. safety officials initiated an investigation driven by complaints that the previous recalls did not fully address the software problem. Various owners complained that the air bag status light continued to indicate that no passenger was present, even if one was. It’s hard to overstate the importance of bug-free air bag software. This example goes to show not just how serious software glitches can be, but also how long it can take for a company to escape the shadow cast by these problems. What’s more, the Nissan incident also highlights how much more difficult it can be to address a software bug after release, rather than catching it with software testing tools during the design stage. Speaking of the serious consequences of software bugs: Last year, military engineers discovered that F-35 fighter jets’ glitchy software caused the aircrafts to incorrectly detect targets when flying in formation. Obviously, that’s a major concern for one of the nation’s premier – and most costly – weapons programs. Of course, these software bugs only scratch the surface. When you consider the costs and headaches these failures have caused their organizations, the value inherent to effective software quality assurance and testing becomes much easier to see. Looking for more resources? Take a look at Kevin Dunne’s blog post “Learning from the Twitter Login Bug“, where Twitter had a critical issue which caused a large portion of its users to be logged out of the service or check out “What history can teach us about the consequences of software bugs“.